Our cream is vat pasteurized, not ultra pasteurized. Just about every type of cream sold these days, conventional or organic, is ultra pasteurized. It really makes a difference in cooking and baking. We have gotten great feedback from the chef at the Kimberton Inn. It’s being used for ice cream, fancy drinks, crème brulee, and soups at the Kimberton Inn. Our neighbors at the Sweetwater Bakery like to culture Seven Stars Cream with a little inoculation of our yogurt and then use the cultured cream to make butter. The cultured butter is used in their baked products, while the remaining buttermilk is used to soak the nuts, seeds and oats used in their granolas. Their products are available at Kimberton Whole Foods market and at other locations listed on their website. 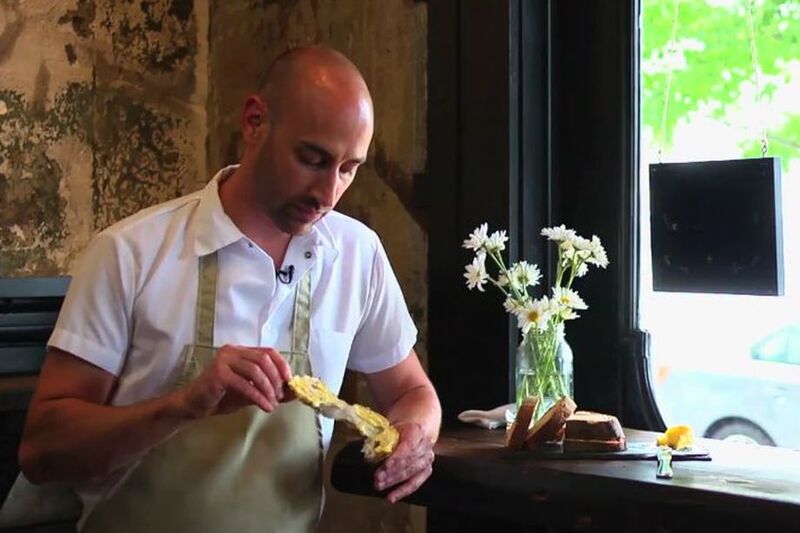 Watch chef Dan Richer nerd out over butter made from our cream! Andy at Weckerly’s Ice Cream loves our cream. The flavor is “just better” than other creams on the market. And it makes his ice cream rich and delicious!